I am using a NHD-C12864WC-FSW-FBW-3V3-M graphic display and at the initialization (which I followed the datasheet to do) , there are random pixels appearing a little bit everywhere on the screen. I am not sure for what reason this would happen, so I figure maybe someone has had this issue before? 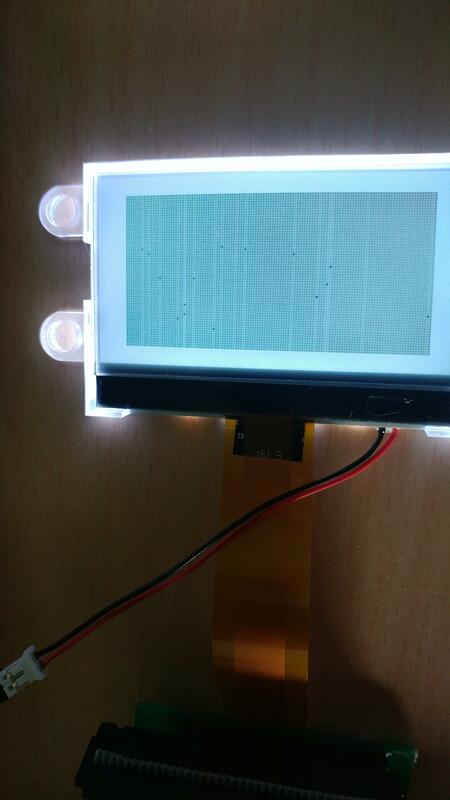 And we can also see on the lcd that the lines where the pixels are printed, the contrast seems different as well? What am I doing wrong or am I missing something? It seems that your contrast might be set a bit high. The random pixels can result from any mix of information that could be stored in the RAM for the display controller. Have you tried to clear the screen after initializing it? I was able to clear the screen after all and there are no random pixels. This is most likely due to the high contrast. I would recommend using a lower setting for the electronic volume. This will determine the pixel clarity.